Kuddly has veterinarians of all kinds from all around the world. November’s Featured Veterinarian is Dr. Anthony Hall. Dr. Hall is based in Virginia, but he practices in animal hospitals all over the state, as well as Maryland and DC. As a relief veterinarian he substitutes for vets who want to take vacation time, or he fills in for hospitals in need. It gives him the ability to meet, and work with new people as well as see the animals he’s helped. 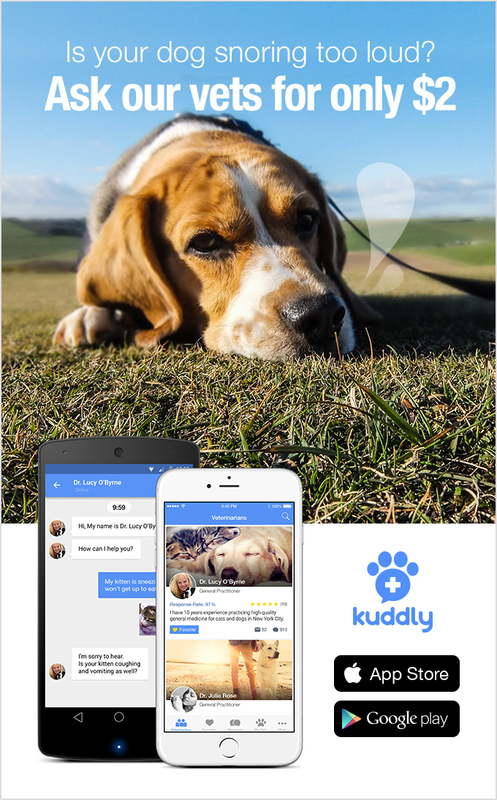 Dr. Hall joined Kuddly because it fit a specific market need his clients want, and he’s happy to meet it. He’s had many clients tell him during exam visits that they wish they didn’t have to make an appointment and pay large fees just to ask simple questions. They’d often wait until their pet was sick or until it was due for exam or vaccines to make appointments and ask for the information they needed. With Kuddly, Dr. Hall says that his patients can ask at any time, day or night, and know they’re getting good and correct information instead of relying on online search engines. Most ask Dr. Hall simple questions on Kuddly, such as why their flea/tick treatments do not seem to be working, or other basic pet health and care inquiries. He shares information and specifics, such as how treatments work, other options, and any issues or effects. When inquiries are better suited for a clinical exam with their veterinarian, Dr. Hall lets them know and can help them prepare or ask questions during their pet exam. Dr. Hall is an awesome addition to Kuddly. You can find his profile on Kuddly through Kuddly’s search feature.